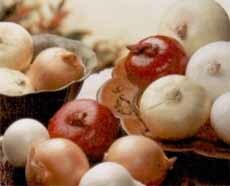 The ZOSC-4 controller is designed for controlling of Onion Stores. Control functions automatically operate the ambient fans, modulating gas burners, fridges, gable and recirculation louvers during the various stages of onion storage. Each crop sensor can be inhibited from the controlling functions to deal with practical problems associated with a real store where conditions may vary across the store. Ambient differential settings prevent un-necessary use of the fans during unfavourable or marginal conditions. 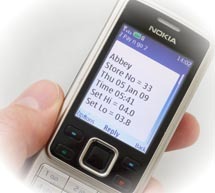 The Controller caters for varying settings to suit the sites conditions and the equipment fitted to the Stores. These include burner pulse periods and Louver settings. 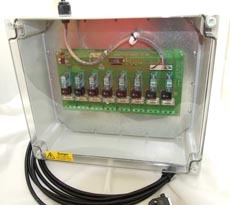 Supplied with a Crop Junction enclosure with 4 way twist and lock connectors. Allowing for up to 6 off combined RH% and temperature sensors to be fitted. 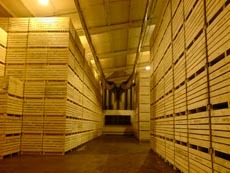 Ambient and Duct combined RH% and temperature complete the necessary sensors to effectively operate the Onion Store. This controller can be used with both the standard RH% sensors and the high performance VRH-1 RH% sensors. Hi speed duct temperature sensors are also available. 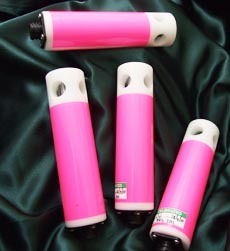 The ZOSC-4 system incorporates three separate units. Identified as the controller, crop junction enclosure and the relay card enclosure. Outputs are provided via the relaycard. 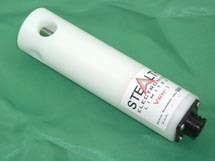 The relays provided are voltage free contact. Manual test switches are provided to test the fans and fridges. 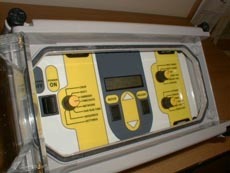 During Automatic operation the controller records the Fan and Fridge run times. The results are included on the printout. Addition features include a calibration off set, which allows the operator the make minor adjustments to the RH% readings on any channel if required. 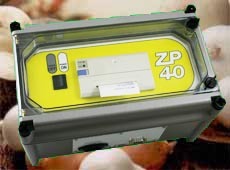 The ZP-40 printer is an optional extra and has the ability to give a permanent record of the previous twenty-four hours performance. The ZOSC-4 allows the operator to edit and include the site name on the printout to assist in record keeping of data. This is useful if the site has more than one controller in operation.